Architect, Professor Makoto Shin Watanabe visited NH VILLAGE ARCHITECTS. NH VILLAGE ARCHITECTS welcomed the visit of Architect, Professor Makoto Shin Watanabe in August 2018. He is the founder of ADH Architects where the deep architectural designs were practiced in Japan and is a Professor of Hosei University, Faculty of Design and Engineering, Japan. 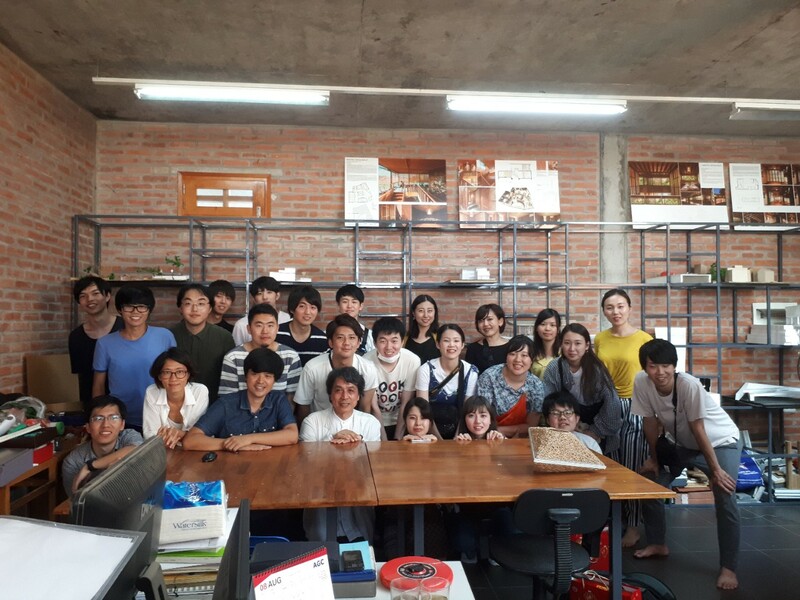 In this visit, the Japanese Architect and his Laboratory students were introduced NH VILLAGE ARCHITECTS' methodology of architectural creative process and practice in local environment of Vietnam.